Craig Murphey has been a trial lawyer for over 25 years. Before joining our team, Craig was a partner in one of Erie’s largest law firms and concentrated his practice on defending personal injury cases – especially car, truck, and motorcycle accident lawsuits involving deaths or catastrophic injuries. Over the years, Craig has also represented and advised insurance carriers in numerous types of claims involving automobile, homeowners, or commercial general liability policies. He has also handled many cases that shaped Pennsylvania auto insurance law, especially in the arena of uninsured and underinsured motorist coverage. Craig also has a lot of experience with insurance bad faith cases. Since the Pennsylvania bad faith claim handling statute was enacted in 1990, he has represented and counseled both insurance companies and policyholders in bad faith claims. 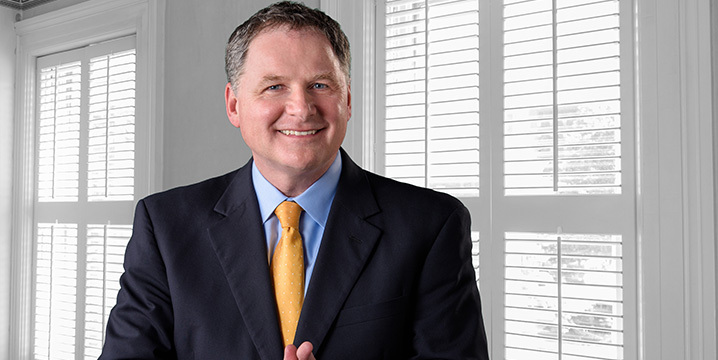 With Purchase George & Murphey, P.C., Craig uses his education and experience to help accident victims, policyholders, and other insureds in all types of personal injury, property damage, bad faith, and other insurance claims. In addition, he protects the interests of those suffering from injury or medical mistakes and he represents companies and individuals in a wide variety of business disputes. Craig has been honored by his peers and clients as an outstanding lawyer and leader. He is currently the President of the Erie County Bar Association. He was formerly President of the Pennsylvania Defense Institute, an organization comprised of leading insurance defense lawyers and insurance claim executives.